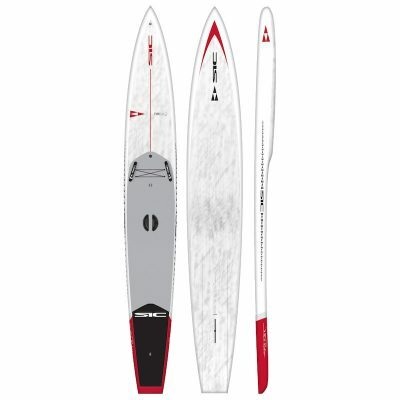 (DCC) Double Carbon Composite + InnegraTM – full wrap biaxial carbon with InnegraTM tip, rail and tail reinforcement, PVC reinforced deck, crock skin EVA deck pad, 12K carbon Weedless Fin, Gore-Tex breather valve, EZ-Grab handle, multiple leash attachment options, comes stock with F.A.S.T. with 3K carbon Dagger fin, U.S. finbox compatible. 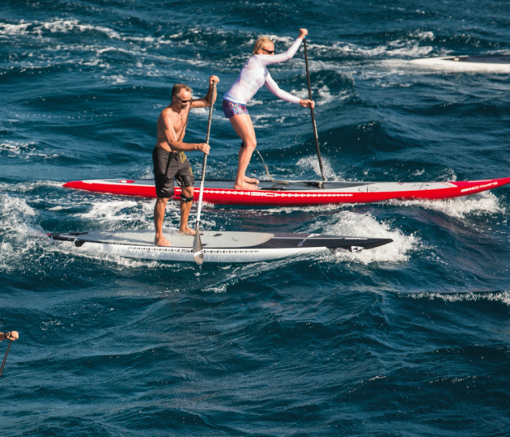 The Bullet 17 is the fastest open water board on the planet bar none. 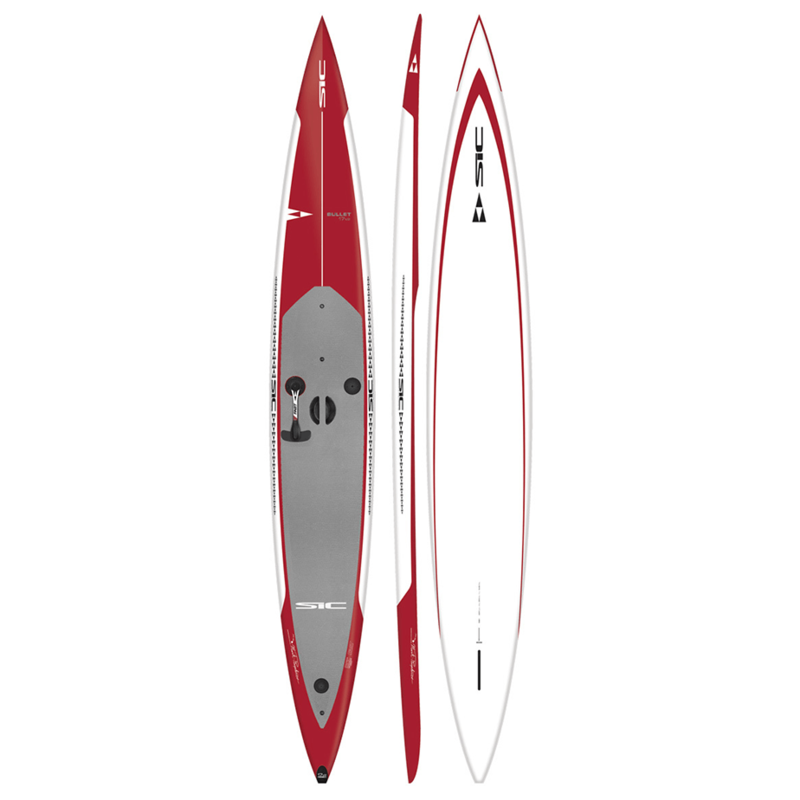 It is THE must have board for any open-water elite racer who wants to strike the podium or takes their gliding seriously. 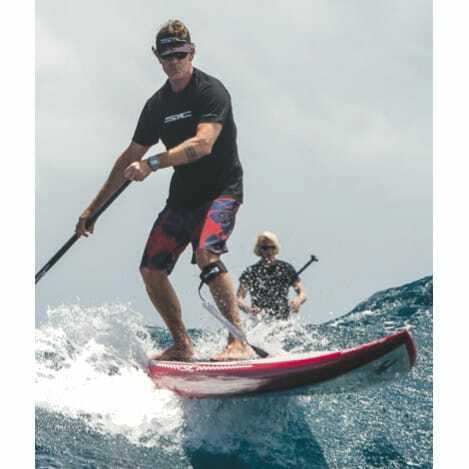 This downwind missile has a narrower outline and more gradual rocker, which keeps you in the energy zone of the swell, maintains the highest average speed, and can maneuver quickly to catch bumps from any direction. Its Panel-V tail design keeps the nose elevated in the troughs and in the chop. 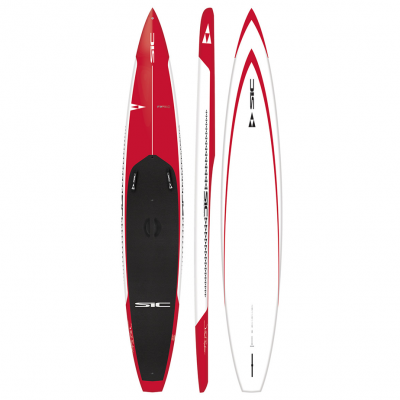 Only available with SIC’s original FAST (Foot Actuated Steering Technology).